Just because a customer goes searching on a specific website doesn't mean they can't be "approached" again at a later date with the same product. This concept of online marketing is referred to as retargeting or remarketing. You've probably experienced this as a casual internet surfer without even realizing that you've been retargeted. If you go to a site like Amazon and search for T-shirts a banner ad from Amazon for that product could pop up on another website you visit later in the day. With the use of tracking cookies, advertisers can follow you around multiple websites and target specific advertisements. Retargeting customers has been known to drive conversion rates up by 70%. Here are the best ways to create a retargeting campaign. As you approach retargeting, you'll have two options with regard to the type of programming platform you can utilize. A managed platform will have you partnering up with a retargeting provider that will help you set up your campaign using specific metrics. The self-service platform gives you more control over the targeting of audience segmentation and customer tracking. The provider can walk you through the process. 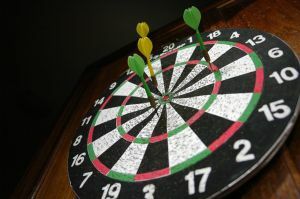 A few examples of the kinds of online retargeting providers to look at are Google Adwords, ReTargeter, AdRoll and FetchBack. Pick the right campaign settings. Once you settled on which provider will be helping you launch your retargeting effort, you'll need to determine your targeting parameters. In other words, how will you find the customers you're looking for? For instance, will you be selling your product overseas? Many retargeting vendors offer default settings to advertise to international consumers. If that's not a market you're ready for, make sure they "click off" that option. The same goes for setting up the specific time and day when you run your retargeting ads. If you're a site like Amazon then you're a 24/7 business. However, if you have a sales forces that needs to deal with customers during specific hours than those are the hours when your retargeting should be running. There are other factors like cookie duration and offer rotation which need to be taken into account. Once again, your provider should be able to walk you through these factors. Pick the right segmented audience profile. Retargeting lets you get specific with your customer base. For instance, you might sell products to men and women but they aren't necessarily the same products. You want to be able to segment your audience profile so the right ads reach the right customer. It might help you divide your website into those specific areas of interest that will appeal to various demographics. The strength of a successful retargeting campaign will be based on which ads work. You need to test your campaigns for optimal results. You should test variables such as ad headline, ad copy, background colors, images and calls to action. Using analytic testing will help you find out which is the most effective approach to your retargeting.